Established in 1974, Western Racquet & Fitness Club has been maintained as a small family business with big results! For more than 40 years, Western’s mission has been to improve the overall health and well-being of our members through expert, service-oriented staff and a wide variety of quality programs and offerings. At Western, we know the difference between simply working out and the desire to live a healthy life. That’s why we’ve committed to helping our members transcend the mundane, typical gym experience and graduate to lifestyle-driven fitness. Western takes your wellness journey the next level with customized personal training, the best in equipment & classes, state-of-the-art tennis facilities, and resources that fit your lifestyle and help you reach your goals. From the weekend warrior to the fitness diehard, each person has different goals, but everyone wants to have fun and look and feel their best! Helping you get great results is our mission and why you will love Western Racquet & Fitness Club! Mary's family has been involved with the ownership and operating of Western Racquet & Fitness club for more than 40 years. 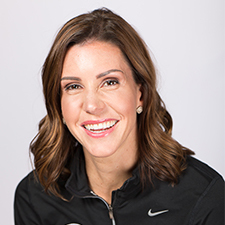 Mary graduated from Marquette University and moved back to the Green Bay area to help manage the club. 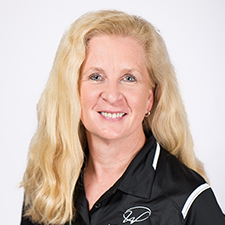 She enjoys participating in and developing many of the great workout programs Western offers. Kris's three children started to play tennis which got her started 12 years ago. Eight years later, she started working at Western Racquet. Living in Wisconsin, she loves the outdoors and all its seasons! She spends summers on the lake, swimming, biking, fishing and new to paddle boarding. Reading is a passion - she always has a good book! Megan lives her life based off the four F's: Faith, Family, Friends and Fun. Her career is included in "fun" because she lives and loves what she does every single day. 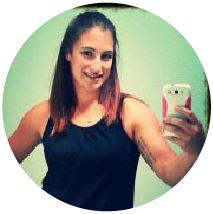 She loves getting to help people with their wellness journey in a place that strives to give every member and guest the best experience. 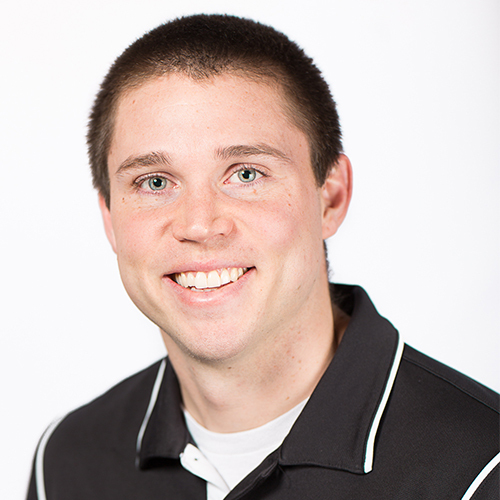 Alex graduated from UW-Stevens Point with a Bachelor’s degree in Health Promotion and Wellness with a minor in Strength and Conditioning. 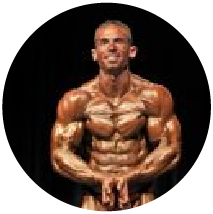 Alex values personal training as the key to success, and assures that he can find the right trainer for you to see and feel results. 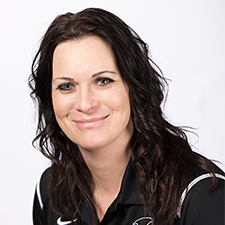 When Kari decided to follow her true passion for fitness and leave her career as a Correctional Officer, Western Racquet is where she planted her roots. Kari has brought programs like TRX and Water Rowing to the facility. She has recently became a Presenter for SCW Mania Conferences. Katie enjoys bringing innovative new ideas to Western, as well as working on special projects within the club. She loves being able to work with many different departments at Western in a creative capacity. Melissa started working at Western in 2006 and has enjoyed being a part of the Western team as the Front Desk Manager and Member Services and Billing Director. When she isn't at Western, she keeps busy spending time with her husband & two daughters. 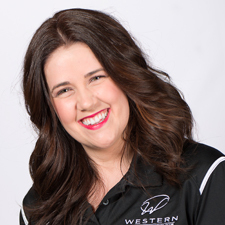 Jamie is a mother of three boys who joined Western as a member in 2011. 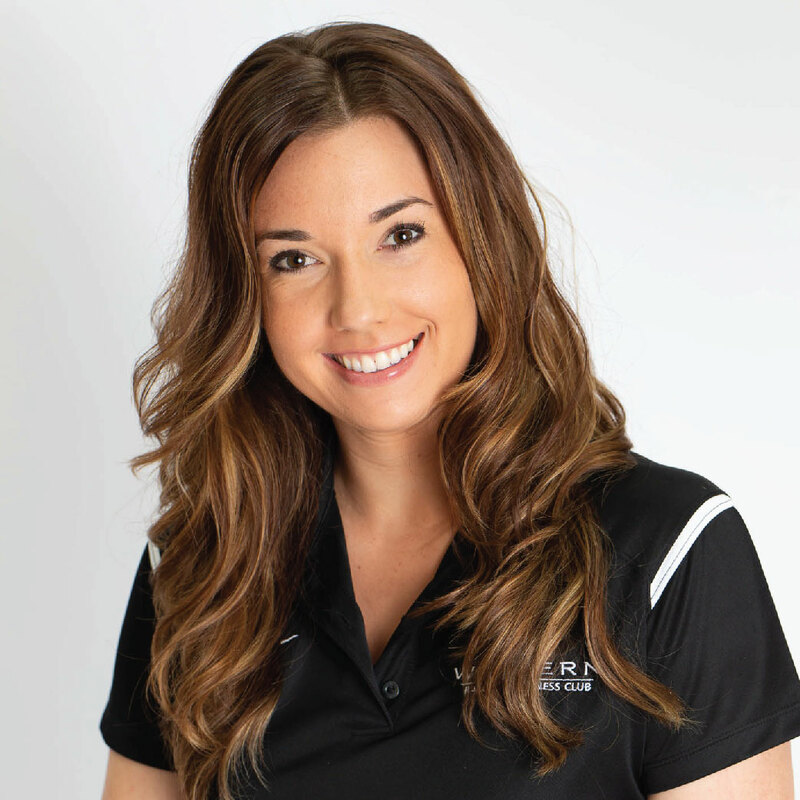 After 3 years of taking group classes at Western, she became a Group Fitness Instructor for the club. Soon after, she jumped at the opportunity to be the Wellness & Recovery Director. She looks forward to helping people perform at their highest potential, whether in class or in the Wellness & Recovery spa. 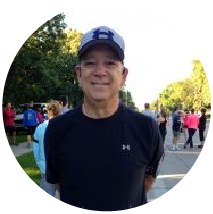 Mike joined the Western team in July 2015, after a 38-year career in the banking industry. He enjoys all sporting activities, including basketball, baseball, and football. 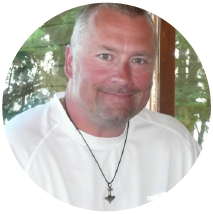 He is an avid golfer, who enjoys the outdoors. His wife, Barb, is a teacher and son, Eric, is a web/graphic designer. Emily fulfilled her dream of graduating college and living on the West coast where she earned a B.S. in Nutrition & Culinary Arts from Bastyr University. With a passion for local, seasonal, organic food and culinary creativeness, she continues to innovate the FuelBar and create wholesome smoothies, snacks and food complimentary to all dietary needs. In her free time, she enjoys getting away to the lake, wine-tasting, yin-yoga and being a bookworm. 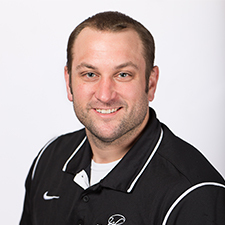 Jayson graduated from Carroll College in 2006 and immediately upon graduation he started his career as a professional tennis instructor. 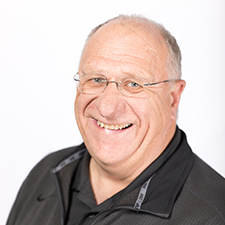 His passion is to see every student achieve their goals both on and off the court. Sophie has worked at Western since 2010. 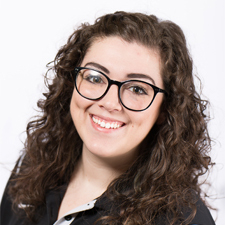 She has enjoyed learning many different aspects of the club and is grateful for the many creative opportunities she's been given as the Marketing Director. In her spare time, she likes reading, playing video games, and spending time with her husband, son, and pets. 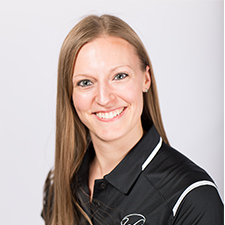 Amy began teaching yoga at Western in 2012 and eventually moved into a full time membership director position as well. Western has always felt like as second home to her. She enjoys the community, the friendships, and the motivation from the all the members and staff. Amanda has been at Western since 2012. She is certified in TRX, cycling, Insanity, PiYo, Strength, Indo-Row, and Shockwave. What she loves most about Western is seeing all the magic that happens there and the lives that have been changed. Kaila is passionate about childcare and is excited to provide a safe, clean, fun, and rewarding environment for all the children who visit Western. Josh has been playing tennis for over 17 years and has been coaching tennis for 10. He's excited to bring fresh ideas to the adult programming here at the club. He looks forward to meeting the many new faces at Western as well as catching up with many of his old friends and co-workers. 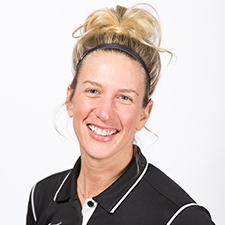 Katie started as a member, then became a Group Fitness Instructor, and currently teaches TRX, Strong by Zumba and Rock Steady Boxing. 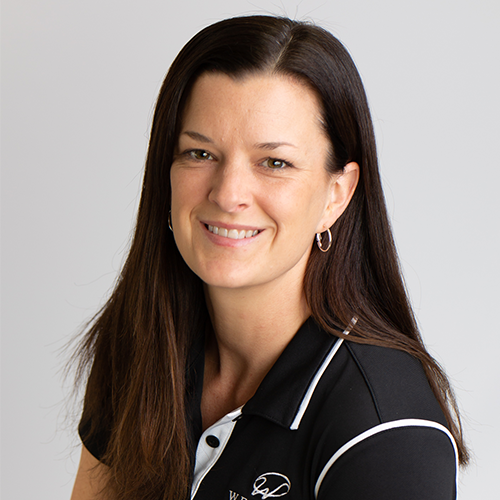 When the opportunity arose to become the Corporate Wellness Director at Western, Katie knew it was a natural fit. Her goal is to share her experiences at Western with others in the community, so that they can begin their own Western Wellness journey. The classes gave me the workouts I needed to reach my goal. Now I have set out to lose another 10 by Christmas. I will continue to stay close to Kari for advice and modifications to my work out plan, and look forward to sharing another success milestone with you over the holidays. PS - The smoothies are awesome! As a member for over 5 years, I've seen the many changes made to the building, equipment, and staff. I have to say that the changes made have only added to what was already the best in the area. Whether you like to play tennis, racquetball, basketball, participate in various group classes, use free weights or machines, or just use the various cardio machines, Western Racquet and Fitness Club has something for everyone. I can't say enough about Western Racquet. From Axel, my trainer, to the entire staff, they are outstanding. They have helped me stay on track, encouraged me along the way, and truly take a personal interest in your journey. I couldn't have done it without them!